Very happy to share some recent collaboration work with fellow artist and all round awesome guy Mullet. As well as intricate drawings showcasing his love of all things toxic he also sculpts custom resin toys and was kind enough to ask if I'd like to design a custom header card for his recent sculpt. I worked up a vintage looking header card featuring a render of his Boggoff sculpt (as you can see from above, available in two colours!). A great project to be part of and I hope to work on more stuff with Mullet. 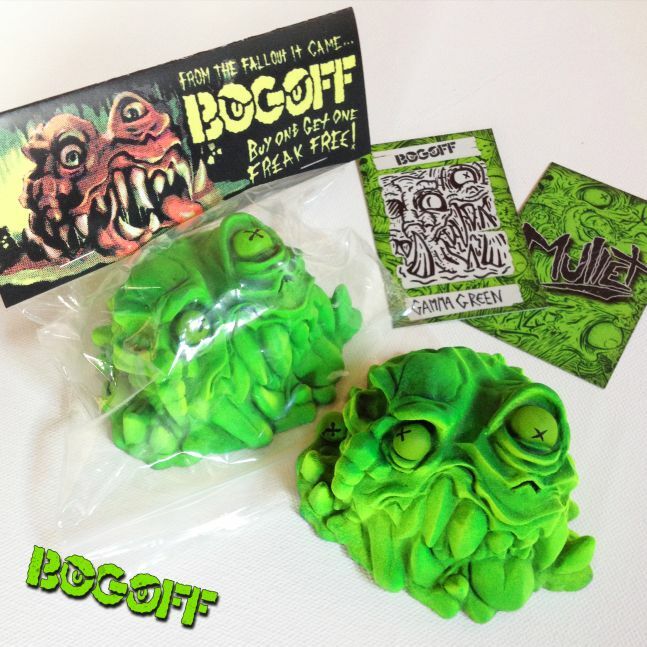 Check out his Facebook page HERE and you can purchase Boggoff HERE.